Whether you are new to Washington DC or can already recite every word to “America the Beautiful,” this tour has something for you! 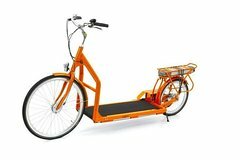 Our comfortable Lopifit bikes and smooth route make stroll and rolling between the sites fun and relaxing. Our bikes are family-friendly. Families who would like to take a bike tour of Washington, DC often find that taking small children along can be quite challenging. We resolve that concern with our bike trailers that can accommodate one or two toddlers. When you book your DC Walking Bike Tour Of DC getting from A to B is as easy as putting one foot in front of the other. This quirky design enables visitors for our Nation's Capitol to ride and/or walk from sight to site faster and with ease. 1-The Tidal Basin : The Tidal Basin is a partially man-made reservoir between the Potomac River and the Washington Channel in Washington, D.C. It is part of West Potomac Park and is a focal point of the National Cherry Blossom Festival held each spring. The Jefferson Memorial, the Martin Luther King, Jr. National Memorial, the Franklin. 2- FDR Memorial. : Franklin Roosevelt remains intimately connected to the National Park Service. During a speech in 1936, President Roosevelt noted the special quality of national parks by stating that "there is nothing so American." He captured the essential truth of the agency by declaring, "the fundamental idea behind the parks...is that the country belongs to the people, that it is in process of making for the enrichment of the lives of all of us." 3- MLK memorial : Dr. Martin Luther King, Jr. was a Baptist minister and social activist who became a notable figure during the U.S. civil rights movement from the mid-1950s until he was assassinated in 1968. He played a pivotal role in ending the legal segregation of African American citizens in the U.S., influencing the creation of the Civil Rights Act of 1964 and the Voting Rights Act of 1965. He received the Nobel Peace Prize in 1964, among other honors. Vietnam and the Korean War Memorials. Jefferson Memorial and the Inlet Bridge. the FDR Memorial, and MLK Memorial. The Old Post Office Pavilion.